I never saw the point of training for a marathon and then letting the fitness slide so you'd have to do it all again, so a marathon every six weeks sounded about right, until that became a marathon more or less every week. But surely i couldn't do two in a weekend? Well that wasn't as bad as I expected, I wonder how many I could complete in a year? 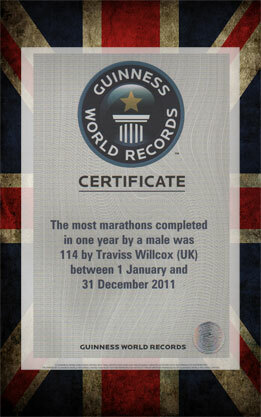 Transpires that was 114 in 2011 and setting the Guinness World Record for most marathons in a year. The madness had truly set in. 2012 came a long and I eased off on marathons a bit, so just the 77, but also added four 100 mile ultras and I was hooked on those then. During all this time one constant thought I had was to push myself, to see how far I could go till I broke. I have absolutely no special abilities whatsoever, I am very average in height and build, I'm perhaps a bit stubborn and like cake too much. Anyone can do what I do, mainly all you have to do is try. And want to, not kind of want to, really want to. This site is really just a bit about me, race reports, random bits of wisdom I've picked up along the way and am happy to share. If its one thing I've discovered amongst the marathon and long distance runners is a willingness to share and help and I'm really just carrying on that philosophy in the digital age. 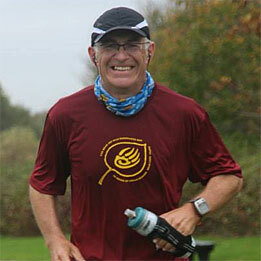 I'm actively supported by The UltraMarathon Running Store in my running endevours. I personally recommend their service, range of products and knowledge of the sport.